Sorry this is coming to you all so late! We didn’t do the midweek double feature like we planned (your girl got sick, sorry 🙈😬). Our showing was at 6:45pm and because lines were long we just got dinner after the show lol. Excuses aside, we just got back and I’m finishing up this post so you can all see if it was worth our waiting. Oh and how I’m going to do these posts to make them more than just movie reviews (since I’m just an average moviegoer at best and I don’t know enough about movies to actually do reviews for them), I’m going to start the posts with some predictions/thoughts before we actually see the movie and then my thoughts after we see the movie. So here are my predictions/thoughts for Incredibles 2. Violet going on her date with Tony. Cameos from actors from film 1! This movie was such a satisfying and fun sequel! While I know so many people love the first Incredibles and consider it the best Pixar movie. My unpopular opinion is that Inside Out and Finding Nemo are the best Pixar movies and for the longest time I actually didn’t like the Incredibles. It wasn’t until I was about to graduate high school that I rewatched it and really enjoyed it (but this may have been because of my new found Marvel love). Anyways, this was the sequel fans deserve. That’s all that paragraph was leading up to, but I totally got distracted lol. I actually really liked that this movie started up where the first movie left off. I think a time jump would have been a complete disservice to fans because the family dynamic is such a great part of this movie! Watching all the family members fight in the action scenes and watch Jack Jack is seriously so cute! I also liked the running joke with the “Jack Jack has powers? !” That made me chuckle several times, espcially because after the first one I forgot that only us audience members saw Jack Jack with Kari and Syndrome in movie 1. GUYS WE GOT MORE FROZONE! I love Frozone so much and was super excited to see his role bumped up a bit more. We even got a cameo from Honey! Ah it was great. I also like how they worked in an Edna cameo. We all knew she was gonna be in this video and I like that they didn’t over use her, but it was still a really fun scene! Okay, time to talk about the actual plot. It was pretty solid. Screenslaver had a really good plan and executed it pretty well. Now, I’m not gonna lie. You’ll figure out who Screenslaver is pretty easily. I called it about 2 minutes after the characters were introduced. That being said, it won’t ruin the movie at all and watching the pieces fall into place was so enjoyable. The new supers that we meet were actually really cool. I thought the powers were incredibly creative and played so well with the supers that we’ve already met. I loved watching Void and Elastagirl in the final battle. Ah it was SO cool! 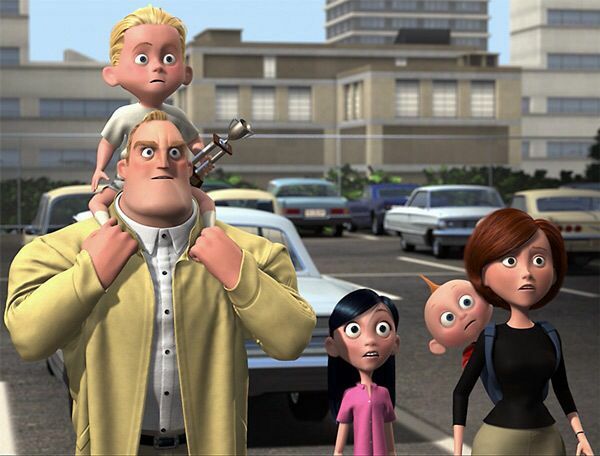 I low key want an Incredibles 3 so we can see all the supers fight crime together! Everything aside though, the BEST part of this movie was the family dynamic. I talked about it above, but ah I need to talk about the family more. The movie had one of the best family dymanics of any kids movie, probably ever. The Parr family was just so relateable. Dash and Violet bickering, Bob taking over the family when Helen worked, Lucius being that voice of reason and adding to the chaos — ah everything was just so much fun. So do good things come to those who wait? Yes. This movie is what fans NEEDED and was such a great continuation of the first movie. Sequels are so hard to do, but Pixar has certain mastered them. This was the perfect balence of keeping what worked in movie one, enhancing the story, and setting up for more (but also not). If you haven’t seen this movie yet, you definitely should! Have you seen Incredibles 2? I’m so excited to watch this. I feel like we’ve had to wait FOREVER for it! Agreed! It was a LONG 14 years! I hope you LOVE it when you see it!